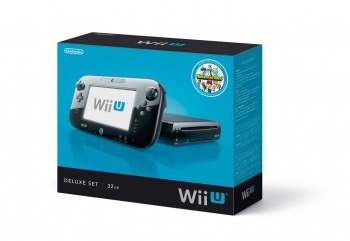 LA Times journalist Ben Fritz managed to kill his Wii U when he interrupted the 5GB download. With all new hardware comes teething issues, but spare a thought for LA Times journalist Ben Fritz, who killed the initial update and therefore his Wii U. "As far as I can tell it's unusable [now]," Fritz Tweeted. According to some estimates the update contained up to 5GB worth of data. Leaving aside the wisdom - or otherwise - of interrupting a console update, should it prove to be 5GB this will be unwelcome news for owners of the Basic device. That only has 8GB worth of space in its brain, as opposed to the 32GB Deluxe device. Technically the Basic device doesn't even have 8GB, since the firmware eats a chunk of that even before the updates; it's looking as though the Basic Wii U will have a very small brain indeed. Fritz unplugged the device after 15 minutes, only to discover that this meant he now had an expensive paperweight. The update came late in the cycle - it had been meant to arrive earlier, allowing reviewers more time to experience the online environment before writing up their reviews. "There was no warning and no cancel button," Fritz Tweeted. "Just a super slow progress bar. No explanation beside 'system update.'" This may or may not have been an early adopter issue, as Nintendo's servers were bound to be busy so close to launch; another reason why reviewers needed their updates earlier.